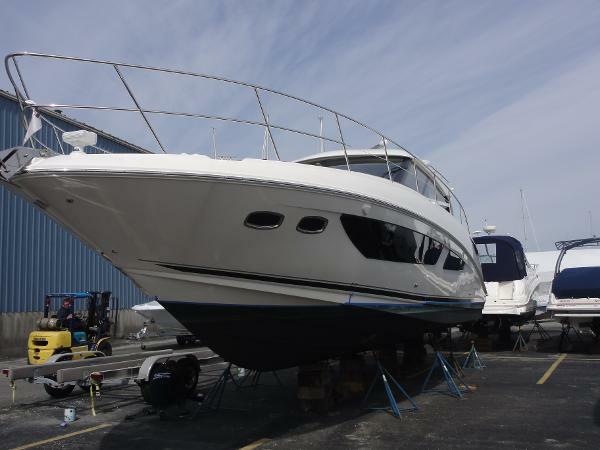 2015 Sea Ray 47 Sundancer JUST IN!! 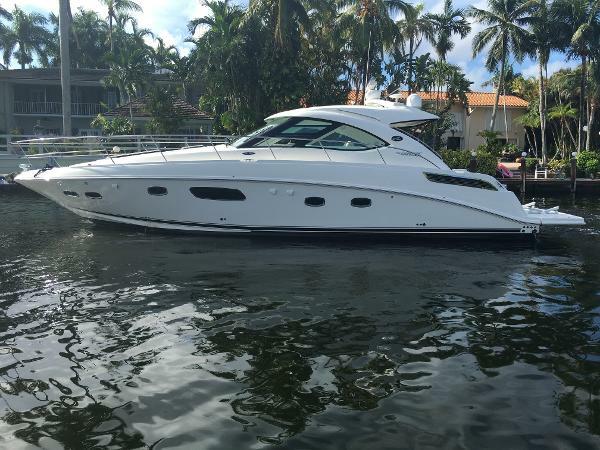 This beautiful 2015 Sea Ray 470 Sundancer. She is loaded and priced to sell! Some of her noteworthy options are, but not limited to: A state of the art ECHO forward facing 3D sonar system with designated video feed at the helm and a 10" bronze housing transducer. A GOST security monitoring system with onboard cameras, motions sensors and GPS tracker. Remote arm/disarm and access onboard cameras from any mobile device. Aft facing cameras with GPS interface. Engine room monitors for the batteries, bilge and shore power. Sirius weather and satellite receiver. Custom motorized TV lift in salon. KVH 28" Dish and Direct TV ready with arch dome. Hydraulic swim platform and FIVE under water lights with four color changing LED lights (blue, green, white, red). SS Grab rails. Seaview light bar and mast head light. Icemakers at the helm and in the cockpit. Three smoke detectors. She also has the optional electrically extended cockpit sunshade that provides sun coverage for all seated positions. The Sky Flow design brings light & air deep into the boat. A very social floor plan with seamless connection between cockpit and salon via three-pane door and flush threshold. She is powered by twin Cummins QSB 6.7L 480 H/O turbo diesels (250 hours) paired with the optional Zeus propulsion. Climate-controlled cockpit sunroom with huge electric sunroof & opposing seating. Two staterooms with double berths and private heads. And she is handsomely equipped with Raymarine e125 Widescreen Radar/Chart plotter combo with radar and auto pilot. 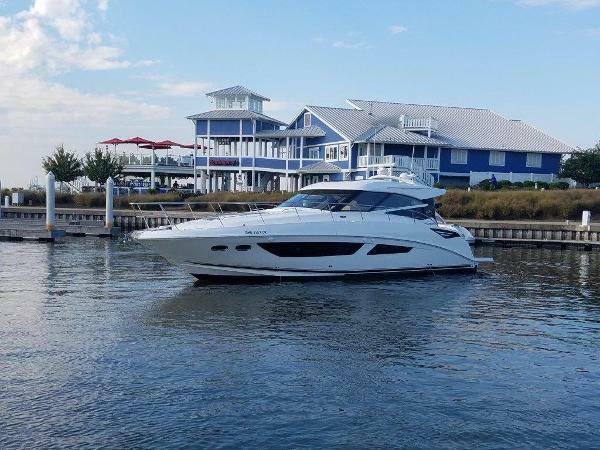 2015 Sea Ray 47 Sundancer When you dream, you imagine yourself in a land far away with nothing to do but enjoy the water's tranquility. 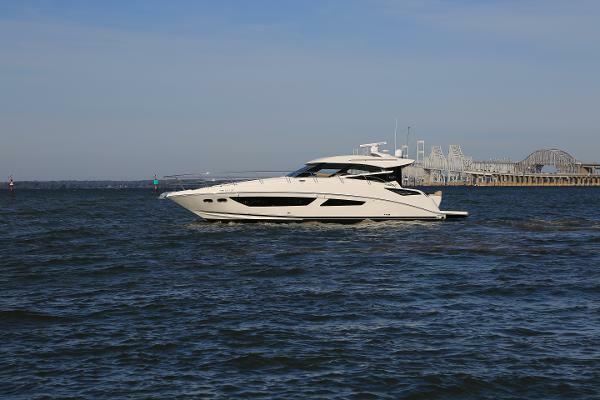 When Sea Ray dreams, the result is the all-new 470 Sundancer to make your dreams a reality. 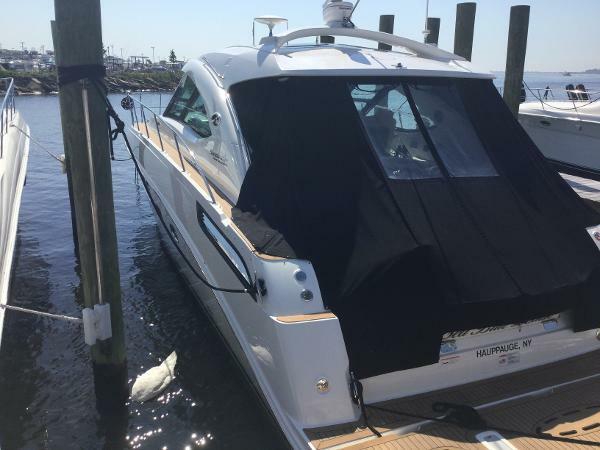 All new for 2015, the reinvented 470 Sundancer is designed for maximum comfort so a family or even just two couples with you can make their own adventure with all of home's perfect amenities. A generous galley, ample storage and seamless indoor/outdoor entertaining ensure cruising in the 2015 470 Sundancer is always a dream come true. 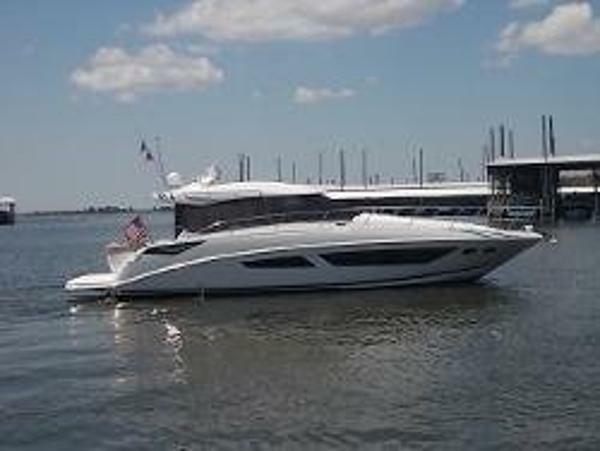 2011 Sea Ray 47 Sundancer 2011 Sea Ray 47 Sundancer With the Optional T Cummins QSB 480's & Zeus Drives. Zeus drive system includes Skyhook station keeping technology. Custom euro-style helm seat with flip up thigh-rise bolster,armrests, and heavy-duty pedestal with slide, swivel, and pneumatic vertical adjustment, and fiberglass seat shell. Companion bench with molded-fiberglass storage. U- Shaped aft seating with storage. Cockpit wet bar. Ultraleather on all interior seating. Large extended swim platform with heavy-duty stainless-steel swim ladder. Super Clean with only 280 Hours ! 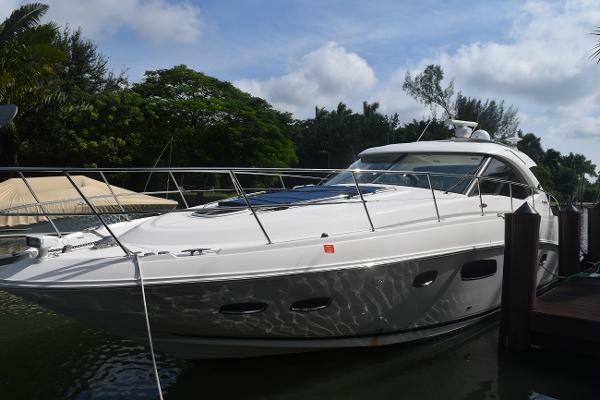 2015 Sea Ray 47 Sundancer When you dream, you imagine yourself in a land far away with nothing to do but enjoy the water's tranquility. 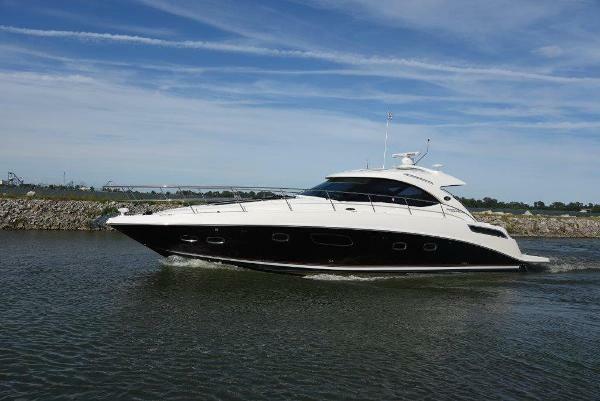 When Sea Ray dreams, the result is the 470 Sundancer to make your dreams a reality. All new for 2015, the reinvented 470 Sundancer is designed for maximum comfort so a family or even just two couples with you can make their own adventure with all of home's perfect amenities. 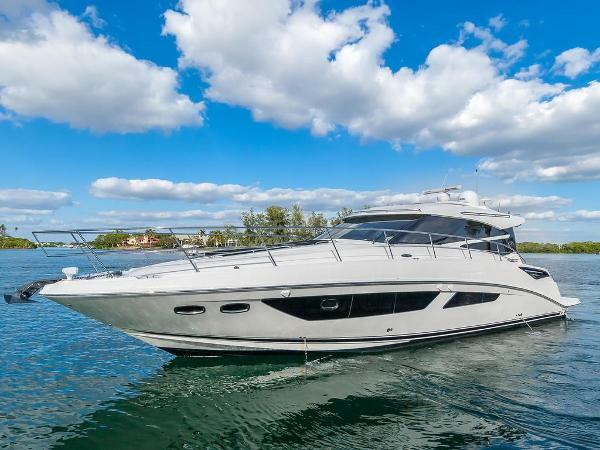 A generous galley, ample storage and seamless indoor/outdoor entertaining ensure cruising in the 2015 470 Sundancer is always a dream come true. 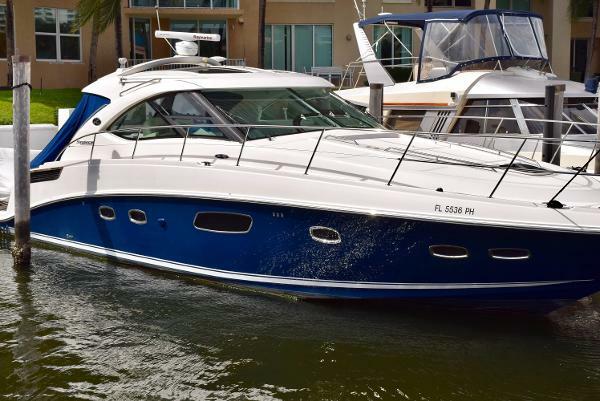 2010 Sea Ray 47 Sundancer This 470 Sundancer is new to the market and blows out the competition with its captain maintained interior and exterior. 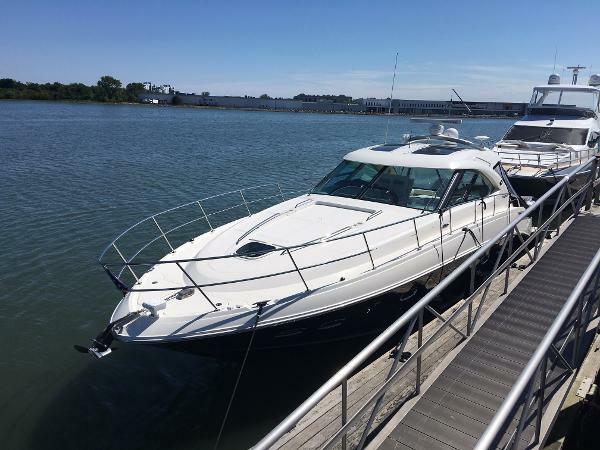 Boat is powered by big QSC Cummins 480hp Zeus control pod drives with helm joystick for stress-free docking. There is an enclosed helm with two independently retractable sunroofs and power side windows for ultimate weather protection and climate control. Double GPS Raymarine 120’s. Hydraulic Platform and Sat TV. The interior displays hard wood floors thru out the boat with no carpet anywhere. All Services done in the dealership. This boat is immaculate!! 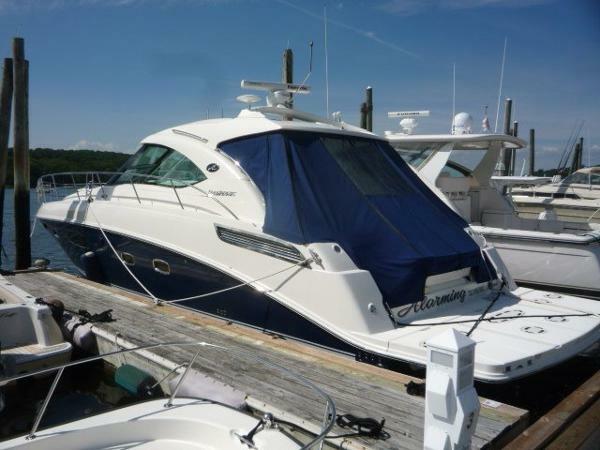 2012 Sea Ray 47 Sundancer 2012 Sea Ray 47 Sundancer One of the cleanest boats on the market! This custom ordered 47 has been pampered, dealer maintained and stored indoors (winters) since delivery. Almost every option was selected including Hydraulic platform, Colored hull, Sat. TV, Cherry interior, Dual 12" Nav. screens with Radar, Cockpit Air, Sunroof shades just to name some of the equipment. Only 490 hours at the time the listing was signed. 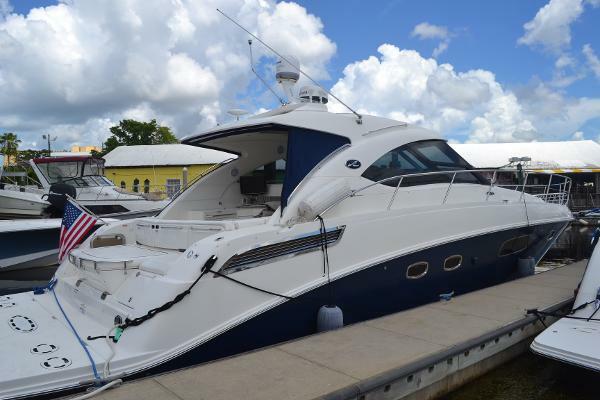 Along with the boat the seller is including his 2013 Mercury M350 center console tender with a 25hp engine. 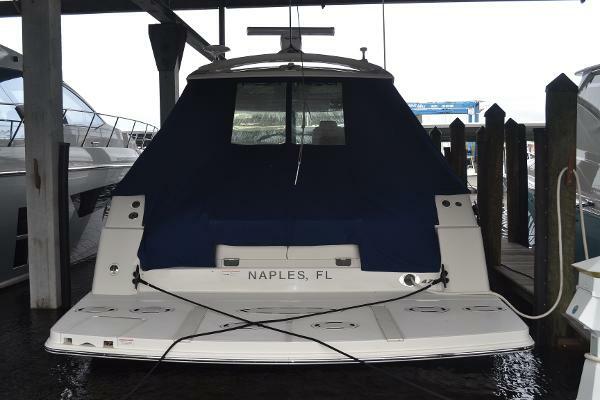 Don't miss out on this amazing turn key boat! More pictures coming soon!